The Winklevoss twins have made a name within the crypto community as two of the people who became billionaires courtesy of the Bitcoin boom. The two brothers, Tyler and Cameron Winklevoss, are also the founders of the budding crypto exchange Gemini. They have been in the news as some of the most active people pushing for the approval of a Bitcoin ETF. They even presented a proposal for review by SEC. However, this time around, they’re in the news as plaintiffs in a case involving the renowned Bitcoin investor Charlie Shrem. Charlie is the CEO of a crypto exchange called BitInstant, although the platform is no longer operational. The twins allege that Charlie defrauded them of about 5,000 Bitcoin tokens in 2012. According to the claims made by the Winklevoss, they gave Charlie $1 million to buy Bitcoins on their behalf. At the time, one Bitcoin was valued $12.50. However, Charlie didn’t transfer to them all the Bitcoins he bought with their money. He kept about 5,000 of them for himself. Calls by the Winklevoss for him to relinquish control of their extra coins went unheeded. The market value for the tokens now stands at around $32 million. In 2017, during the Bitcoin peak, the value would have been a cool $100 million. Charlie’s Bitcoin escapades led him down a dark path that ended up with him getting thrown into prison. He had aided Bitcoin transfers to criminals who intended to use the cryptos to buy drugs on the dark web. The court sentenced him to 2 years in prison. However, he served one year instead of two because he agreed to pay restitution amounting to $1 million in 2014. Court documents now show that Charlie actually never paid the money to the government. That’s a revelation that could work against him in the current case against the Winklevoss brothers. At the time he went to prison, Charlie claimed he had no money, but he has been buying lots of expensive stuff since he got out in 2016. He has bought 6 properties, Maseratis, and boats. The Winklevoss claim that Charlie is spending the money gained from the Bitcoins tokens he stole from them. Upon the Winklevoss’ petition, Judge Jed .S Rakoof of the US District Court has since ordered some of Charlie’s assets to be frozen. The freeze includes Charlie’s Bitcoin holdings on Xapo and Coinbase crypto exchanges. 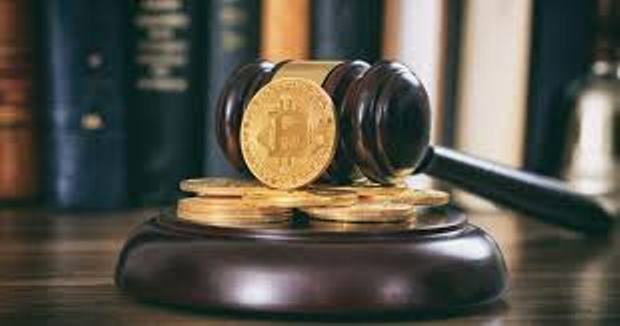 However, Charlie’s lawyer, Brian Klein, dismissed the Winklevoss’ claims and assured that his client was ready for a court battle to clear his name.